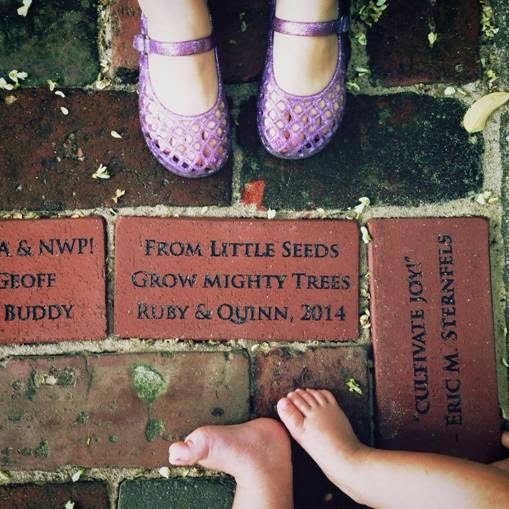 You, too, can commemorate a loved one, publicly say thank you to someone in the community, or just support the Friends of Ned Wolf Park's efforts to improve the park for the community by donating $100 for a personally inscribed brick. Pick up one of the brochure/order forms in the park's information boxes. Or you can scroll back through past posts to find a printable copy of our order form. And, you can even pay via Paypal using the link on the righthand margins of this blog.